While watching the 2016 U.S. Olympic Track & Field Trials on television I noticed a huge picture of former University of Oregon and Olympic track team coach, the late Bill Bowerman, hanging from the side of the stadium at Hayward Field. Memories of my old coach began to flood through my mind, particularly the events that led to him becoming my coach/mentor. In the summer of 1963 I had just graduated from Portland's Jefferson High School, followed by Martin Luther King, Jr.'s "I have a dream" speech during the iconic March on Washington. The speech inspired me to attend the University of Oregon in order to earn a social science degree followed by an advanced degree in theology in order to prepare me to follow in the steps of King as a servant of the civil rights movement. I was well prepared for the academic aspects of college, but unprepared and uninterested in college athletics. While in high school I only dabbled in various organized sports during my first two years. My only participation in track was during my sophomore year when I competed in three junior varsity track meets, and later gave up all sports in favor of academics and my social life. Early in my freshman year at the University of Oregon I decided to gain relief from the rigors of academic courses by taking a physical education course. My high school friend, and classmate Leon Lincoln was a scholarship track athlete at Oregon as a result of his state high school championships in the 100 yards, 220 yards and 880 yard relay in 1963. Leon suggested that I consider taking a track and field physical education course taught by the legendary Bill Bowerman. During the 1960s and before it was not uncommon for varsity coaches to actually teach courses at the University of Oregon. I decided to take the course and stood in awe of Bowerman and his reputation during the course. I developed a great respect for his level of organization, and scored the highest grade in the class. Much to my surprise Bowerman called me aside, and invited me to try out for the track team. I could not believe that this knowledgeable NCAA championship coach thought I had enough talent to compete at the collegiate level. Bowerman could see something in me that I could not see in myself. He told me the inspiring story of 1960 Olympic and world record setting Oregon track athlete Otis Davis who came to the University of Oregon as a basketball player with no track background until Bowerman convinced him to give track a try. I was particularly intrigued when he told me that if I achieved certain performance standards he would give me a scholarship to help pay my college education. All of my friends except for Leon Lincoln discouraged me from taking Bowerman up on his offer. Many people advised me that I would be making a fool of myself. Like Bowerman, Leon Lincoln encouraged me to reach for my athletic potential. As a freshman athlete for the Ducks I improved steadily in the long jump, and for the first time I began to enjoy organized athletics. At the end of my freshman season Bowerman met with me in his office and informed me that he wanted me to learn to triple jump. The triple jump was a blank for me since it was not a high school event in Oregon. Bowerman showed me a black and white film of world triple jump record holder Jozef Schmidt, and then told me his knowledge of the triple jump was limited, but he would help as much as he could. He directed me to a track & field technique book, and for several weeks he arranged for Ellis West, a graduate student with world class experience in the triple jump, to work with me. I really did not want to do the triple jump, but how do you say no to Bowerman. My sophomore year was a year of discovery in which I got my first real dose of varsity experience in both the long jump and triple jump. I was able to reach the standards for a scholarship in both the long jump and triple jump, and as promised Bowerman informed me that I would be awarded a scholarship. Some individuals continued to tell me that Bowerman was a racist, but I continued to trust in the man, and stayed on the team. All the while I reflected on Bowerman's background in Medford, Oregon that was a Ku Klux Klan stronghold in the 1920s. Increasingly, I began to learn more about Bowerman the man. While at Medford High School he was an outstanding football player and was a member of the 1928 Medford football team that was rated as the best high school football team in the country by many. 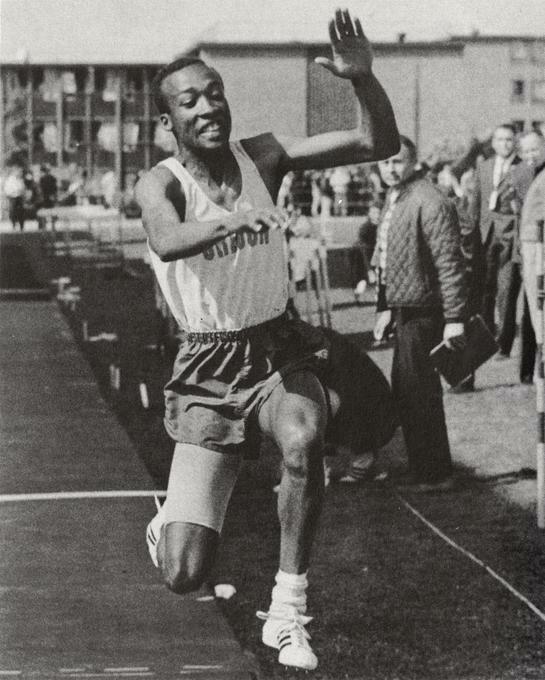 Not only did Bowerman play football for the Ducks he also ran track with one African American teammate named Walter Hopson. Bowerman served in World War II and shared scary stories of his service in the war. He was the first person to inform me that adult white males in Oregon were given free land, but African Americans did not receive such benefits during the pioneer era. That conversation let me know that Bowerman was aware of the social inequities endured by African Americans. My junior season was one of growth on and off the track. I won a handful of events, scored often and was one of the team's leading scorers. The statewide, local and school newspapers ran my picture several times. Additionally, I attained the qualifying NCAA championship standard in the triple jump and barely missed qualifying in the long jump. Wow! I was a founding member of the Black Student Union and participated in various peaceful campus demonstrations. Once again some people warned me that Bowerman would not like me joining the Black Student Union, and would disapprove of a letter to the editor I wrote. Not a word of complaint from Bowerman about my political activities. The only negative comment I received was from one of the athletic trainers. Years later I found out that Bowerman regarded me as a student leader. One of my teammates, Bob Woodell suffered an injury that left him paralyzed from the waist down as a result of a campus accident. This tragic event left many of us wondering what we could do to help Bob. 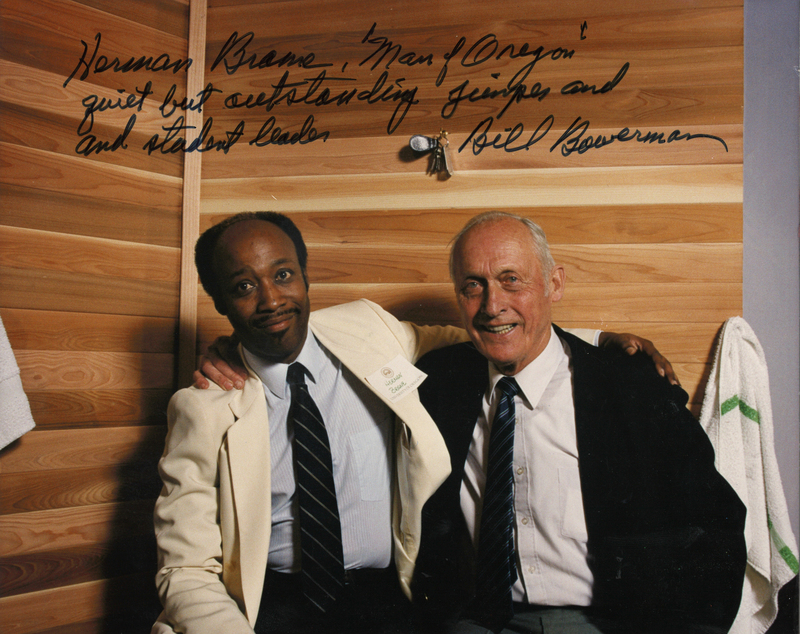 Bowerman knew what to do and organized an invitational track at Hayward Field to raise money for Bob's medical expenses, and honor him as a Duck athlete. This meet was very dramatic for me because I did not win the long jump until my last jump with Bob encouraging while looking on from his stretcher. Bowerman could have easily moved on without organizing that meet to help Bob. I was impressed! My senior season was to be my best, and the culmination of my athletic goals, but a career ending injury at a preseason meet in Sacramento brought my college career to a painful conclusion. I was so depressed I even thought about dropping out of school. Bowerman encouraged me to rehab and focus on my academic studies. 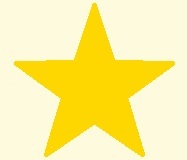 It was apparent that he regarded me as a college student first. I took his guidance and hit the books, but did not make it back to the track that season. It was over! At the end of the season I went to his offfice to get my participation plaque, and for the last time I listened to him talk about his "Tigers" who were all a part of Oregon's long green line of athletes. As the years passed a fuller picture of Bowerman emerged that began to fully clarify the man. He was more than a co-founder of Nike, Olympic coach, and philanthropist. Most of all he never forgot his athletes in the good times or during the tough times. It made no difference if your world class or a journeyman, Bowerman was your coach, and your mentor if you had the wisdom to listen to him. Even though I eventually earned an MBA, married and had three children my time at the University of Oregon as a student-athlete remain among the most cherished of all my life experiences.